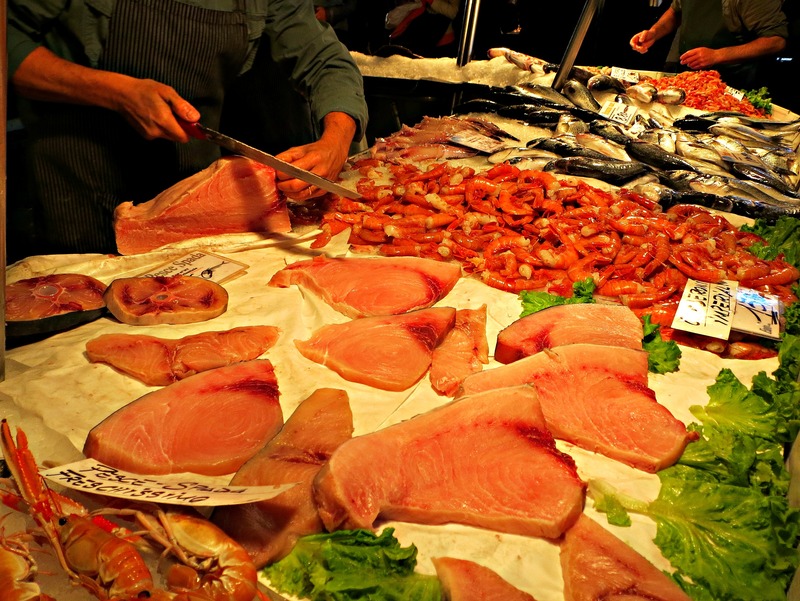 An invitation to join a foodie tour of Venice? Absolutely! Let’s go! 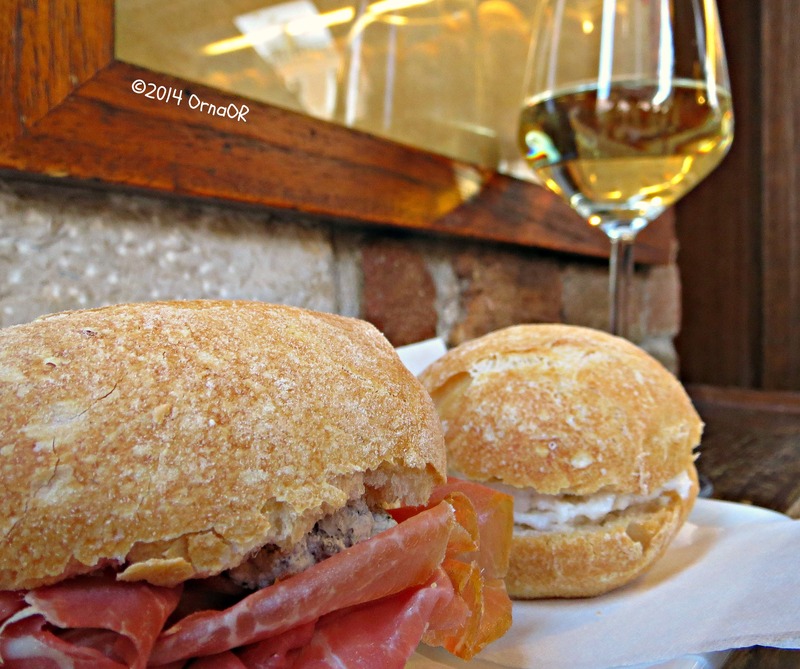 Last week, when Walks of Italy invited me to join their Venice Food Tour of the Rialto Markets, to include cicchetti tasting with wine, I jumped at the opportunity. 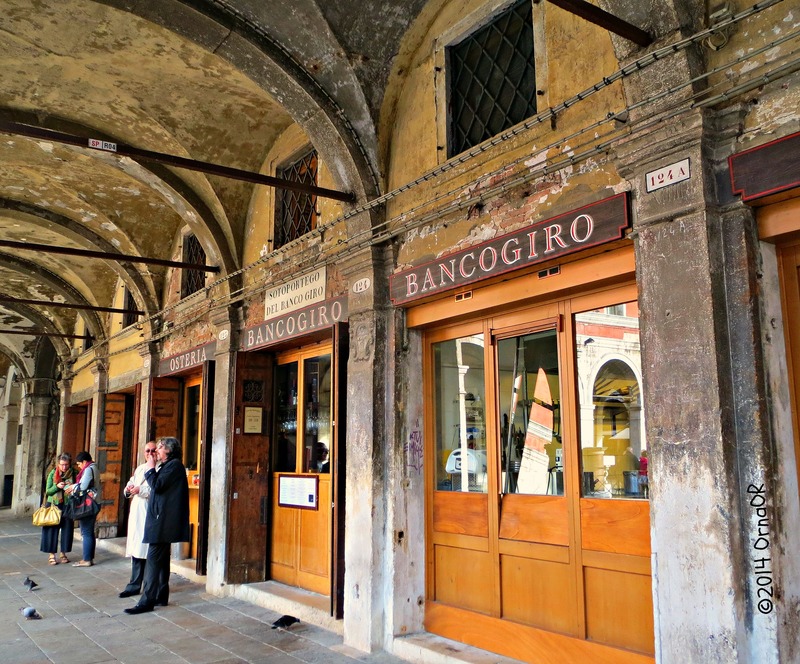 Heading into Venice by train – just forty minutes, lucky me – it struck me that many of you will not yet have eaten cicchetti (pronounced chee-KEH-tee) and may never have heard of this great food culture in Venice. 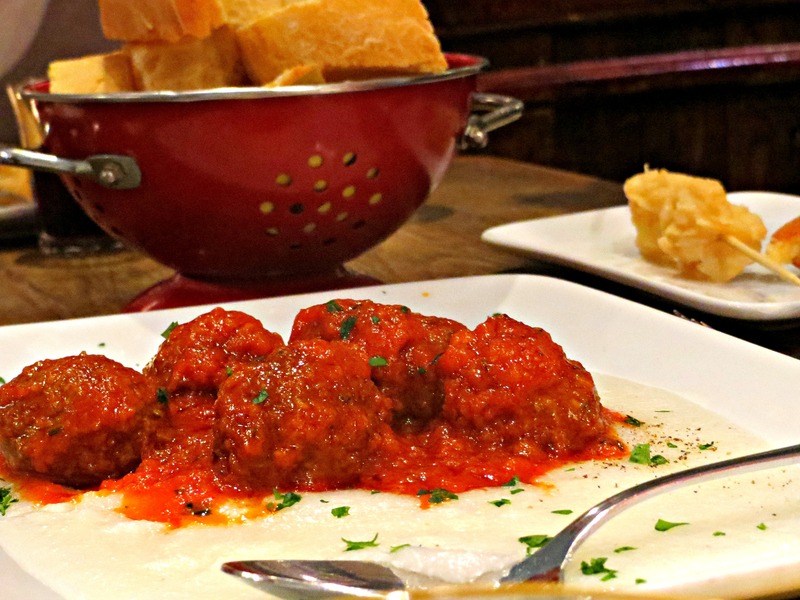 Often referred to as “Venetian tapas”, cicchetti are bite-sized snacks eaten with a glass of local wine at any time of the day. 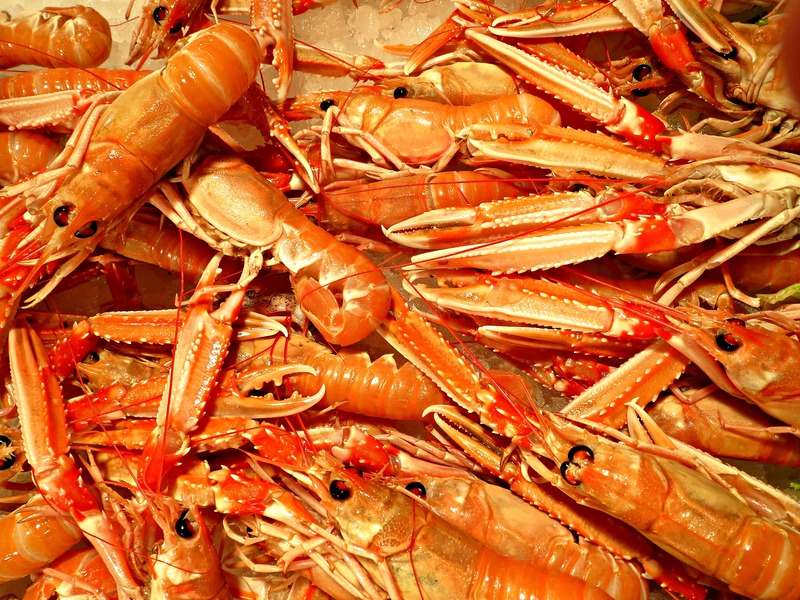 The word cicchetti comes from the Latin word ciccus, which means “very small”. 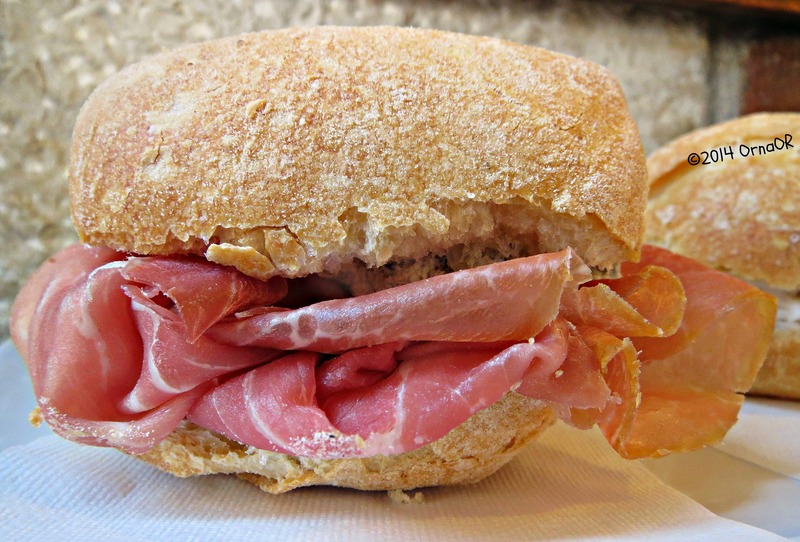 Cicchetti can be crostini with tasty toppings or small panini with delicious fillings. 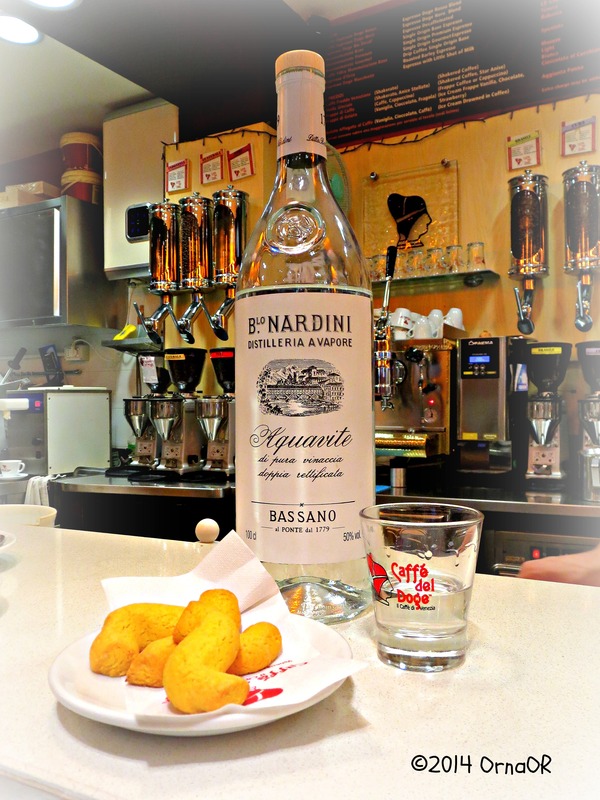 They can also include fritti (fried fish) or polpette (meat balls). 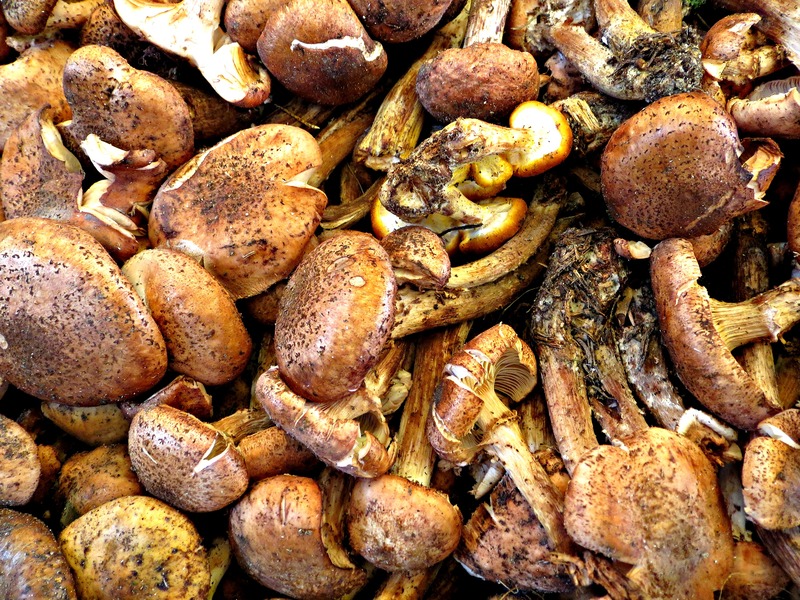 These delicious snacks are served in cheerful “bàcari”. A bàcaro is a type of comfortable wine-bar unique to the winding alleyways of Venice. 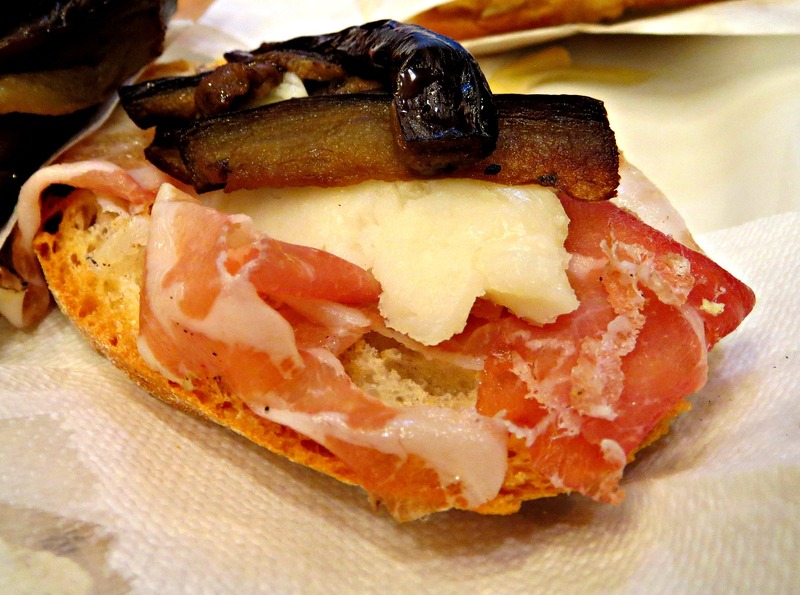 Here, to accompany your cicchetti – or, indeed the other way around – you will have an ombra, a small glass of local wine. The word “ombra”, which means “shadow”, comes from the days when wine would be served on the shady side of the narrow alleyways; though legend has it that this originated from Piazza San Marco where people would drink their ombra in the shade of the campanile (bell tower). One of the most popular cicchetti toppings is baccalà mantecato, which is creamed salt-cod. 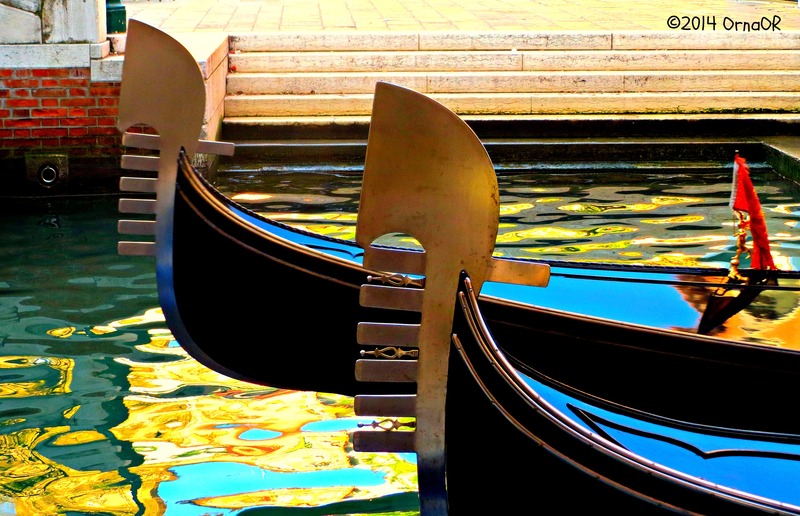 This is absolutely fabulous and a must-try for visitors to Venice. Other favourites include speck, sopressa (salami), prosciutto crudo, robiola cheese mixed with black truffle, and melanzane (egg-plant/aubergine). When you arrive at a bàcaro, you will usually see the cicchetti arrayed temptingly behind glass, displaying labels announcing what, exactly, they contain. Last Saturday morning we duly assembled in Piazza San Giacomo, near the Rialto markets. The group consisted of yours truly and four others, plus our guide Kristina. Kristina is a lovely, extremely well-informed Czech lady with a big smile, who is married to a Venetian and who actually lives in Venice. 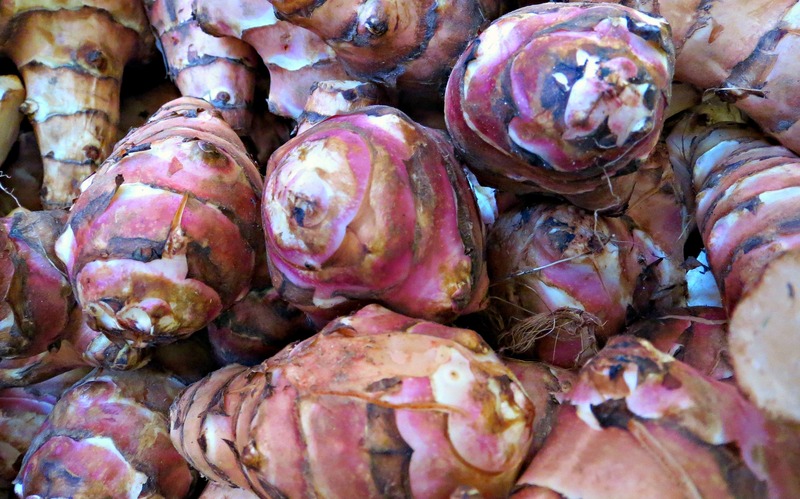 Diving down the side-streets close to the market, we arrived at our first bàcaro and began our food tour with an aperitivo of Prosecco and two mouth-watering cicchetti each. I chose two panini; one filled with the aforementioned baccalà mantecata and the other with San Daniele prosciutto, robiola cheese and tartufo (truffles). Both panini were unbelievably delicious. 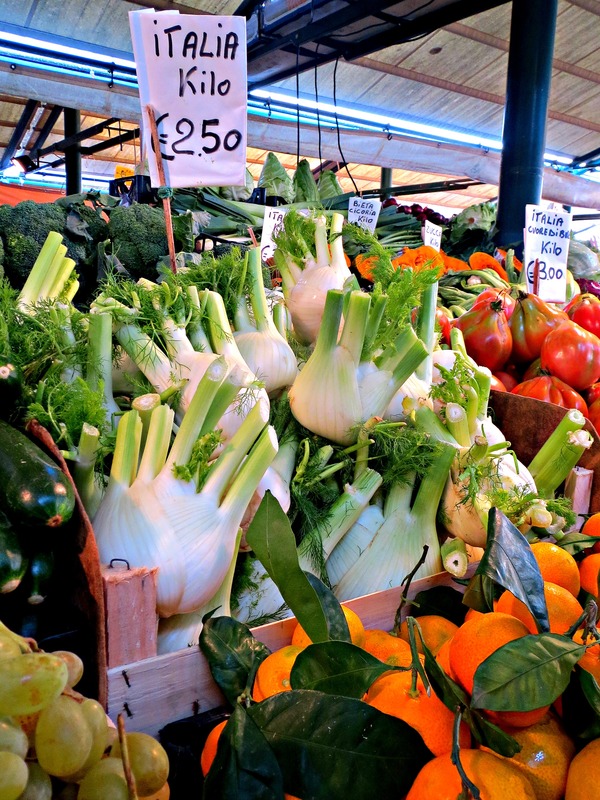 Next stop was an in-depth visit to the Rialto markets themselves. 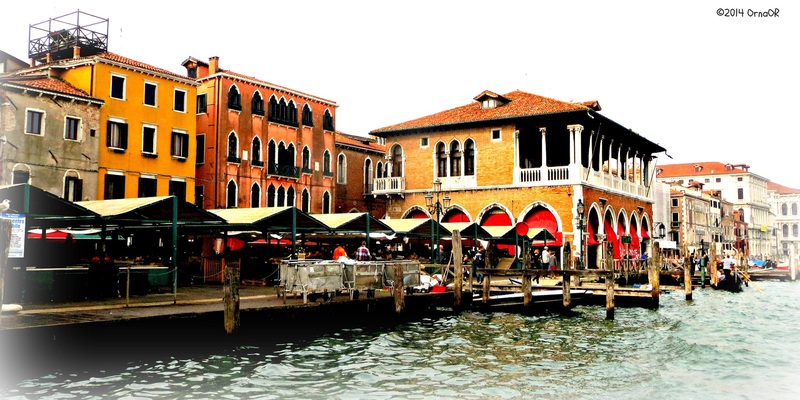 The markets are colourful and busy, set in their magical location on the banks of the Grand Canal. Kristina explained how the various fruits, vegetables and fish would traditionally be prepared. Following our guide down a maze of alleyways, we arrived at a cosy bàcaro for a lunch consisting of two types of polpette with polenta and calamari fritti on a skewer. All of this washed down with a glass of the local Merlot. 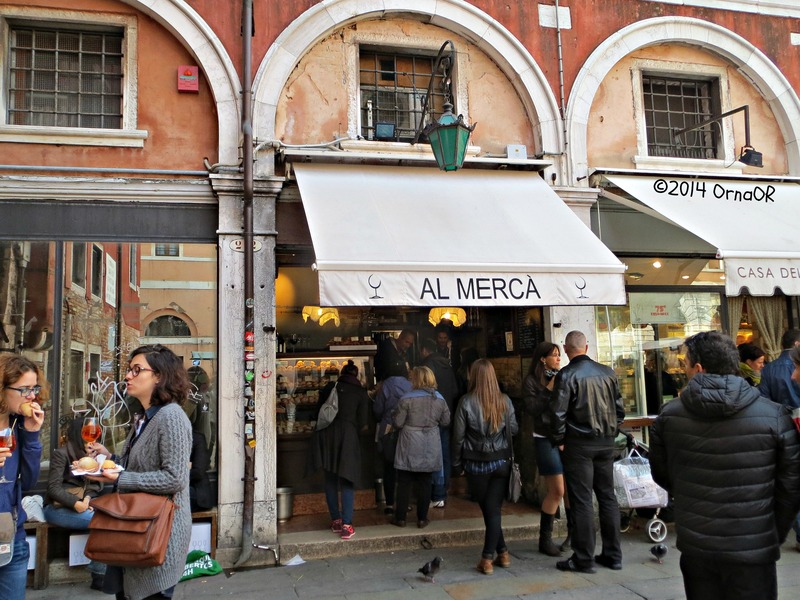 Passing the oldest wine bar in Venice, we headed to another bàcaro where we sampled more cicchetti and an ombra of Verduzzo, the popular local white wine. 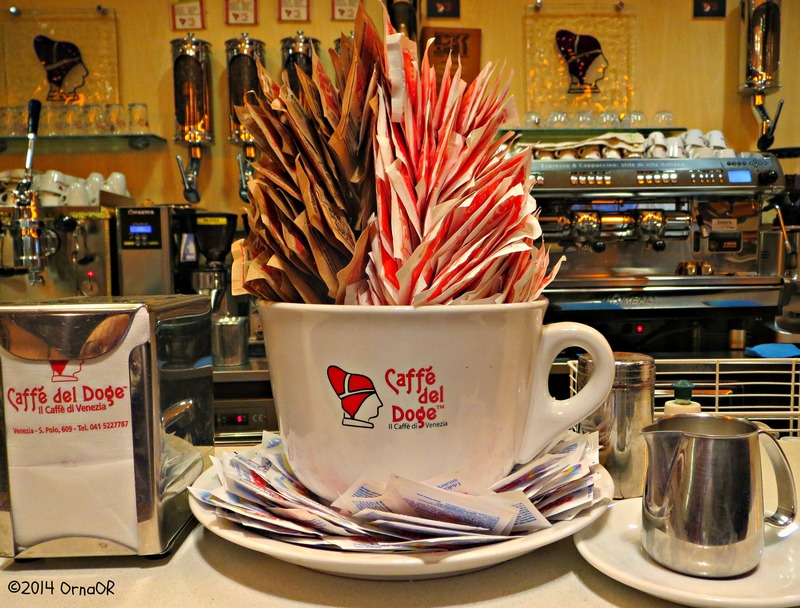 Last, but not least, it was coffee at an old Venetian coffee-house, where the selection seemed limitless. Kristina told us we could have whatever coffee we wanted, explaining that Rosso was pure Arabica and Nero was stronger; containing 50% Arabica and 50% Robusta. We could have either Rosso or Nero in whatever form we wished: espresso, macchiato, doppio or cappuccino. “Make mine a Rosso Macchiata!” I volunteered. Others followed suit, though one of the group insisted on having a cappuccino, which, as you probably know, is looked on by Italians as purely a breakfast drink. Having a cappuccino after approximately 11.00am instantly labels one a tourist! Then a bottle of grappa was produced. Truly delicious, but 50% proof. I did as my guide recommended and rinsed the leftover coffee out of my tiny cup with a splash of grappa; this is known as a “grappa rinse” and I enjoyed it greatly. As our tour came to an end, we all said our goodbyes and wandered back into the alleyways of Venice feeling replete and happy. Cichetti are GORGEOUS! 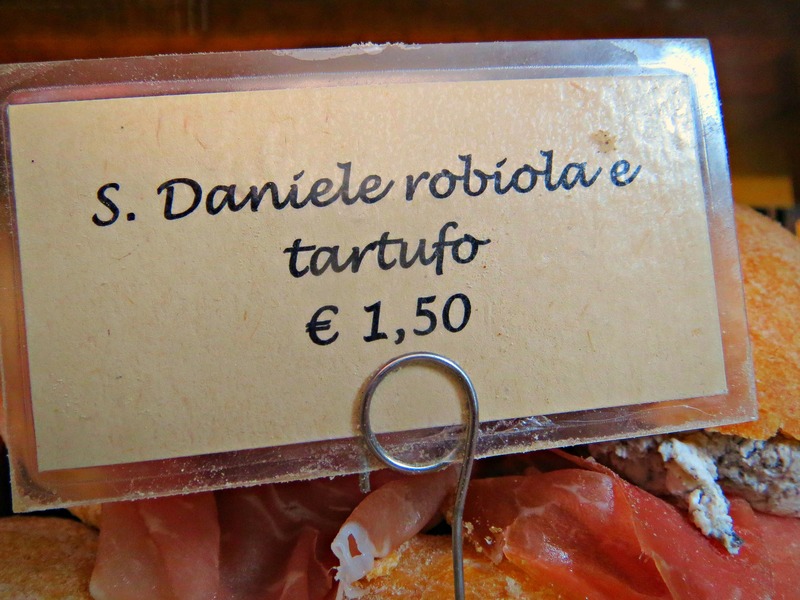 Particularly the Robiola cheese with tartufo……. 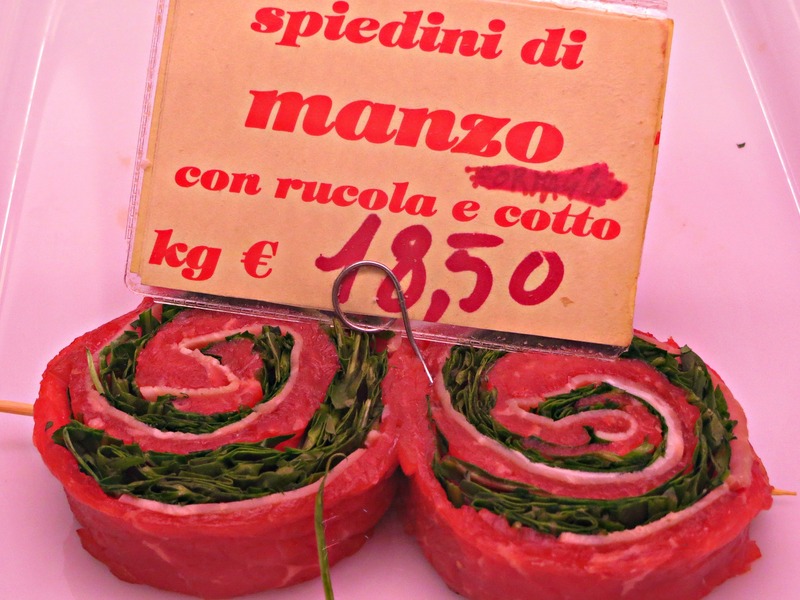 I want some cichetti NOW! Nice blog. Coming right up!! Thanks Tom. Orna, thanks for the wonderful introduction to cichetti and Venice. Beautiful photos! Thank you! 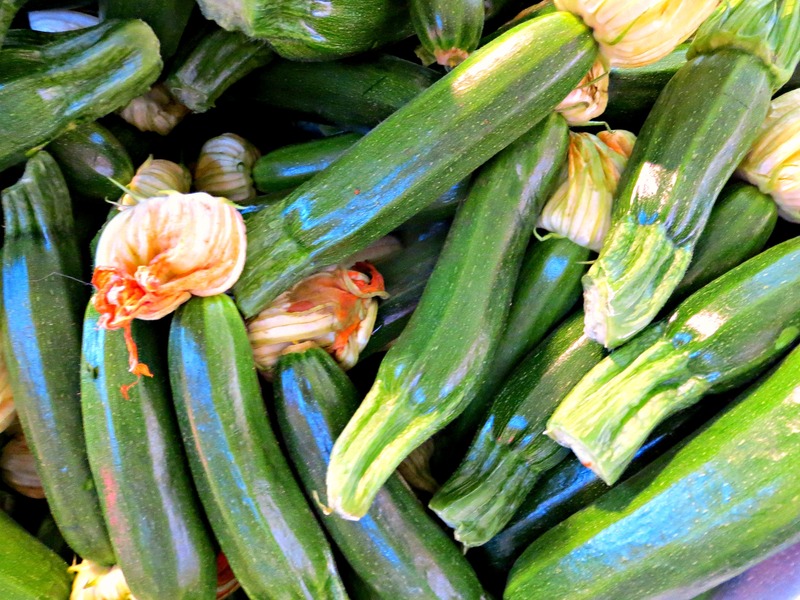 So glad you like my photos and ravings about delicious cicchetti….. Wonderful blog. You’re living my dream-enjoy from a fellow retired designer in Florida! Thanks Bernadette. It was hard won, I promise you, but well worth the struggle. Mmm, now I’m hungry!! 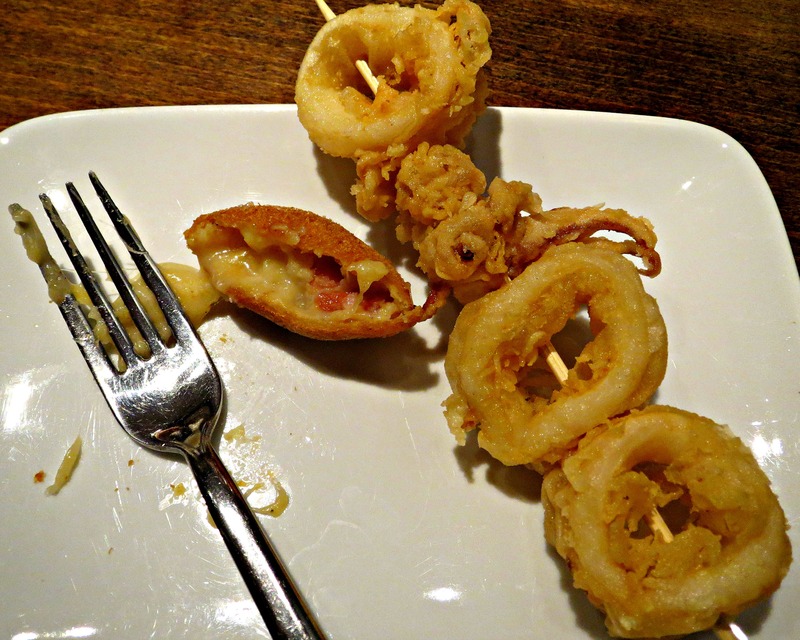 Great post and photos, I do love a late lunch of a plate of cicchetti!!! Thank you Liz. Glad you liked the post and that you’ll get a plate of cicchetti asap!! What a great blog!!! Love the photos, makes me want to go back! Beautiful photos, Orna! The grappa rinse sounds great! 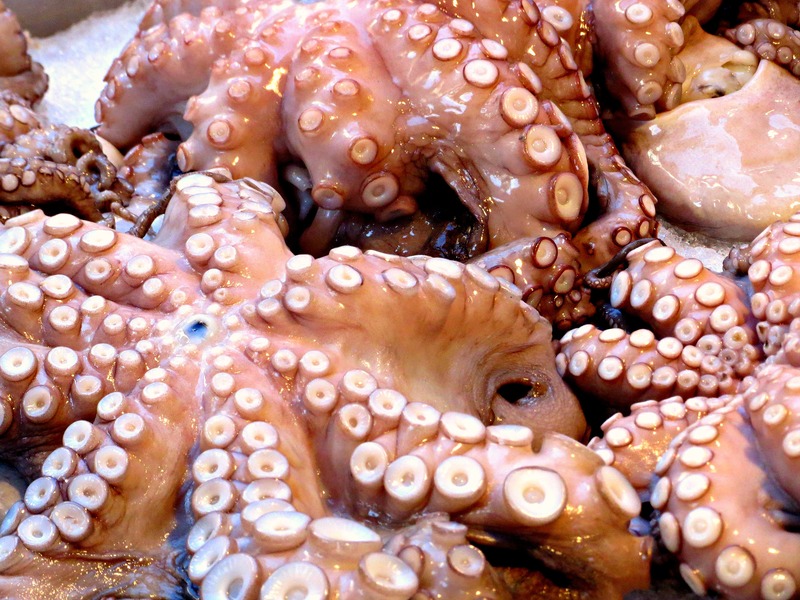 I can’t find this food tour on the Walks of Italy site. Has it been discontinued? do you know of any similar. Thank you!! 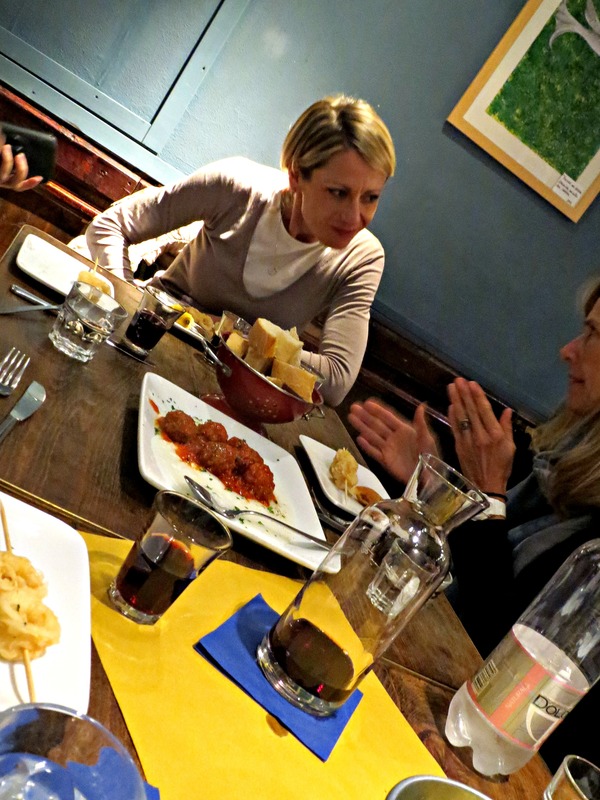 Otherwise, you might contact Monica Cesarato, who also runs food tours in Venice. http://www.cookinvenice.com/cicchetti-tour/ If you read my Chocolate, Cake and Acqua Alta Blog, https://ornaoreilly.com/2014/11/18/chocolate-cake-aqua-alta/ …that is one of Monica’s tours too. 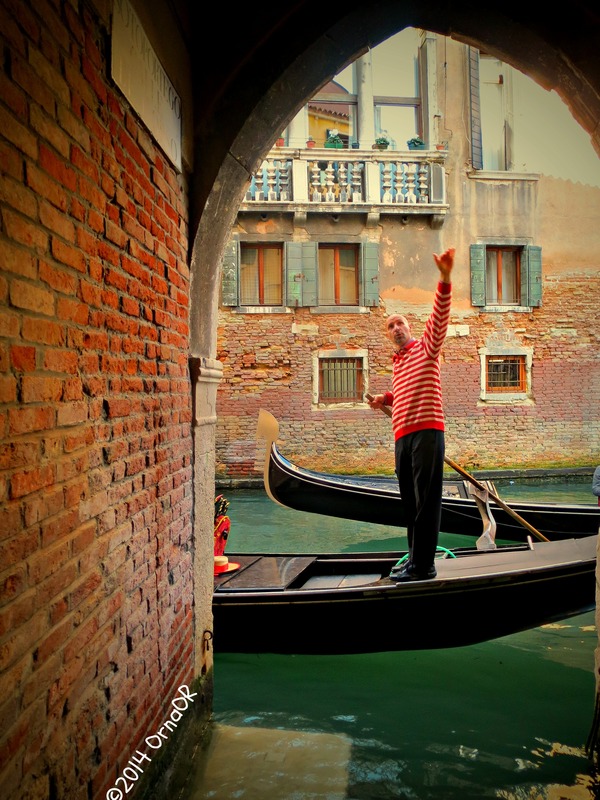 Brings back vivid memories of when I lived in the Veneto and my frequent trips to La Serenissima.